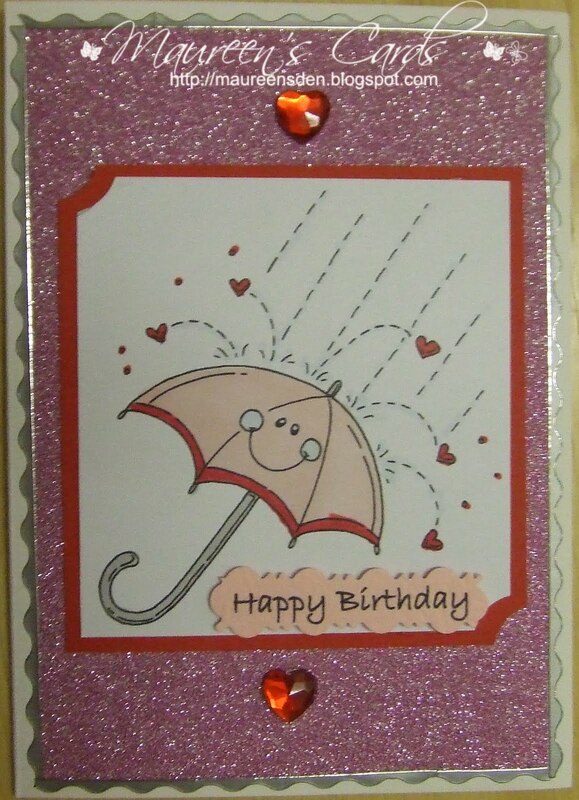 White base card with pink sparkly backing paper. Image is Meljens Designs 'Shower of Love' and I have coloured idt with promarkers and layered it onto some red card. I have added some red heart shaped gems from my stash. The sentiment was done on the PC. I added some silver border peel-off round the edges. Maureen, love it! That sparkly paper and the lil heart bling really set off your image. Thank you for sharing your talent and creation with us at MelJens this week for our sketch challenge. Oh....and a special Hi just from me, Robbie. Beautiful card! Love the sparkles! Thanks so much for joining us at Meljen's Designs! Super cute! Thank you for joining our sketch challenge at Meljen’s Designs.